The Mexican group managed to transmit audio, video and Internet across the spectrum of light emitted by LED lamps. This new technology, called Li-Fi or light fidelity, is presented as an alternative to Wi-Fi because it will maximize the original provided speed of the internet to offer safer data transfer and a transfer rate of up to 10 gigabytes per second. The Li-Fi device circulates data via LEDs that emit an intermittent flicker at a speed imperceptible to the human eye. "As Wi-Fi uses cables to spread our connections, wireless transmission Li-Fi uses LED lamps that emit high brightness light", said Arturo Campos Fentanes, CEO of Sisoft in Mexico. Another advantage in comparison to Wi-Fi is that there is no way to hack the signal since the internet is transmitted by light, there is no way to "steal it". Furthermore, it can be installed in hospitals areas that use radiation apparatus and generally block or distort internet signal, Campos Fentanes said. 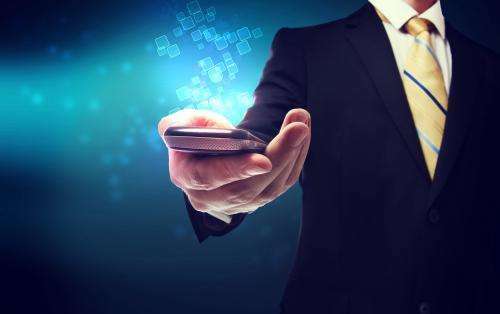 With this new technology expansion through the market is seeked, with lower costs and a service increased by five thousand percent internet speed. Currently in Mexico the highest transfer rate is 200 megabytes per second. Just to get an idea, with Li-Fi you could quickly download an entire HD movie in just 45 seconds. Also known as visible light communications (VLC), this technology began with an internet speed of two Gigabits per second, but Sisoft along with researchers from the Autonomous Technological Institute of Mexico (ITAM) adapted the system to be multiplied five times. Campos Fentanes explained that the first experiments were conducted with audio, in which a cable is connected via 3.5 mm audio Jack from a smartphone to a protoboard table to transform the auditory signal in optical waves. That way a special emitter transmits data across the spectrum of light generated by an LED lamp and is captured by a receptor located in a speaker that reproduces sound. For wireless internet transmission, the mechanics is similar. The station developed by Sisoft of Mexico stands above the router device that distributes the internet signal and a lamp-LED is incorporated to maximize the speed of data transfer. Light will emulate an antenna, but only the electronic apparatus that has the receptor for the "optical audio" signal and is inside the range of the halo of light will have a connection. 10 GigaBYTES is not the same as 10 GigaBITS. "this technology began with an internet speed of two Gigabits per second, but Sisoft along with researchers from the Autonomous Technological Institute of Mexico (ITAM) adapted the system to be multiplied five times." 2Gb * 5 = 10Gb not equal to 10GB (which is 8 times 10Gb). "The Li-Fi device circulates data via LEDs that emit an intermittent flicker at a speed imperceptible to the human eye." How does it deal with a situation where the reciever doesn't have a direct line of sight with the transmitter? I.e. you put yourself between the LED bulb and the computer. Surely it cannot maintain a signal through diffuse reflections from random objects that may introduce any amount of distortion and self-interference to phase and frequency? Could the Li-Fi use a modulated carrier frequency to avoid interference by multiple transmitters? Like WiFi, multiple channels to avoid interference. This is not invented by them, it is invented by a dutchman how showed it on ted about a year ago. This is the link to the ted article.